All prices exclude 5% VAT. 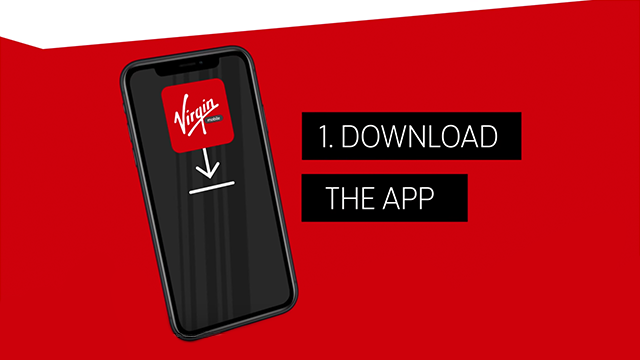 T&Cs apply on the Netflix offer, visit virginmobile.ae/Netflix. Limited validity period. 50% off - BEST DEAL! Keep the flexibility with our month-to-month plan, or save big by going yearly. Sign up and we'll deliver your free SIM in under an hour and activate you on the spot. Keep your existing number or choose a cool new one. Either way, you're in control. How can I get a yearly plan? That’s easy. Just hit the button in the top right and on the plan selection screen use the toggle to see how much you could save. I don't want to pay yearly. Can I pay monthly? Yes, of course. Choose the 1 month option when selecting your plan. If you want the best deal, you should go with one of our yearly plans. Where can I find the international and roaming prices? Well soon be adding these to our website, but in the meantime you can check our international and roaming rates in the app. Of course. When you sign up in our app, just select the option to transfer your existing number and leave the rest to us. When you sign up in the app just enter your credit or debit card details. We’ll charge your card once when you join (for the amount of your first plan) and each month when your plan renews. The fastest way to chat to us is to use the Facebook widget in the bottom corner. We’re available 24/7 and will get back to you within a few minutes. Alternatively, you can visit our help center.